Doctors aren't sure of the causes of glaucoma. The passages in your eye that allow fluid to drain begin to clog up, for some reason. When this happens, the fluid builds up, causing pressure inside the eye. This pressure damages the optic nerve, which can eventually cause vision loss. In most cases, glaucoma treatment begins with medication and prescription eye drops. These drops help to lower the pressure inside the eyeball. If the medication ceases to work, the next step is to use surgery or laser treatments to help increase the drainage in the eye. In all cases, the goal of glaucoma treatment is to lower the inner eye pressure, preventing damage to the optic nerve. Once the nerve and the resulting eyesight has been damaged, there's no way to repair it, so preventing the damage from the outset is key. There are two basic types of glaucoma, the symptoms are very different. If you have primary open-angle glaucoma, you'll likely develop it without any symptoms. This is why it's so important to have a comprehensive eye exam every year. With acute-angle closure glaucoma, you have a sudden blockage in your eye, causing an immediate buildup of pressure. You'll likely notice colored rings or halos around bright lights, blurred vision, and red or painful eyes. 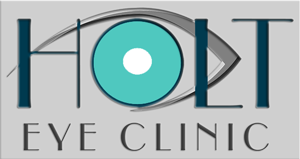 Looking for a Glaucoma Doctor Hot Spring, AR? Glaucoma is one of a number of silent eye diseases that can affect people over the age of 40. The only way to find and treat these conditions is by having a comprehensive eye examination every year. If you haven't had your eyes examined yet this year, call our office to make an appointment with one of our caring and professional optical team. Contact us at 501-624-0609 to schedule an appointment today.